Parish churches are England's glory. They enshrine the history of a people, most of whom have lived far from the capital, court and Parliament. These people - their art, architecture and faith - are seldom recorded or celebrated. The parish church is their public monument.<br />Simon Jenkins has travelled the length and breadth of England to select his thousand best churches. They are of all periods and denominations, though most are medieval foundations. Organized by county, each church is described, often with delightful asides, and is given a star-rating from one to five. 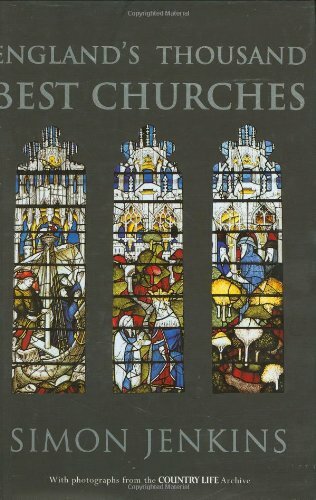 The four- and five-star churches are listed as the 'hundred best' . The county sections are prefaced by a map locating each church and illustrated with photographs by Paul Barker from the Country Life Archive. Simon Jenkins writes a twice-weekly column for The Times and a weekly column for the London Evening Standard. In the course of his career he has edited both the Evening Standard and The Times.